Days after Judicial Watch exposed a new policy banning Phoenix police from contacting the feds after arresting illegal aliens, alarming pressure on the city council and chief of police has forced officials in Arizona’s largest city to postpone the order. Crafted at a Hispanic advisory committee that promotes open borders, the policy also prohibits officers from asking about suspects’ immigration status. The new policy’s two principle measures violate key provisions of a state law upheld by the U.S. Supreme Court and leave the city vulnerable to costly lawsuits. The Phoenix Police Department has about 3,000 officers that were permitted to use “sound judgement” at any time under the agency’s longtime immigration enforcement policy. That allowed front-line officers to directly contact federal immigration officials involving criminal illegal immigrants. Under the revised policy, all contact with federal immigration partners must be funneled through a single Violent Crimes Bureau (VCB) desk sergeant who will document all immigration related data and give authority to call ICE. “This will bottle-neck the process,” according to a veteran Phoenix law enforcement official who added that the new policy was generated without any input from rank-and-file. Arizona law enforcement sources also told Judicial Watch that no other restrictions of this kind and magnitude regarding a federal crime are found in Phoenix Police Department policy. Officers continue to have the discretion to contact the Federal Bureau of Investigation (FBI), Secret Service, Bureau of Alcohol, Tobacco, Firearms and Explosives (ATF), Postal Inspectors, U.S. Marshalls and Drug Enforcement Agency (DEA) without fear of violating department policy. If an illegal alien is arrested for a state crime, officers in Phoenix would no longer be allowed to take them directly to ICE for deportation and document the crime in a report if the sanctuary measures get adopted. Taxpayers must fund a mandated booking into county jail under the new rules, which state; “if there is a federal criminal charge and the person is under arrest for a state and/or local charge/s…the person will be booked into the Maricopa County Sheriff’s Office…” Keep in mind that Maricopa Sheriff Paul Penzone doesn’t like honoring ICE holds on jailed aliens and considers illegal immigrants “guests.” The new Phoenix Police Department rules also eliminate a table showing state immigration enforcement laws as well as documentation of police contacts with verified and/or suspected illegal aliens, a troublesome change that omits valuable city crime statistics. Judicial Watch will continue investigating Phoenix’s efforts to provide illegal immigrants sanctuary and has filed public records requests for the police department’s communications with third-party groups pushing for the now-paused policy change. What if metropolitan areas decided to create ‘free zones’ for other criminals? Burglars, armed robbers? Something less violent? Forgers, counterfeiters? Especially, if it impacted national security and sovereignty? How should the federal government react? Apologies for the poor copy/paste – it was the only way I could get it all in. 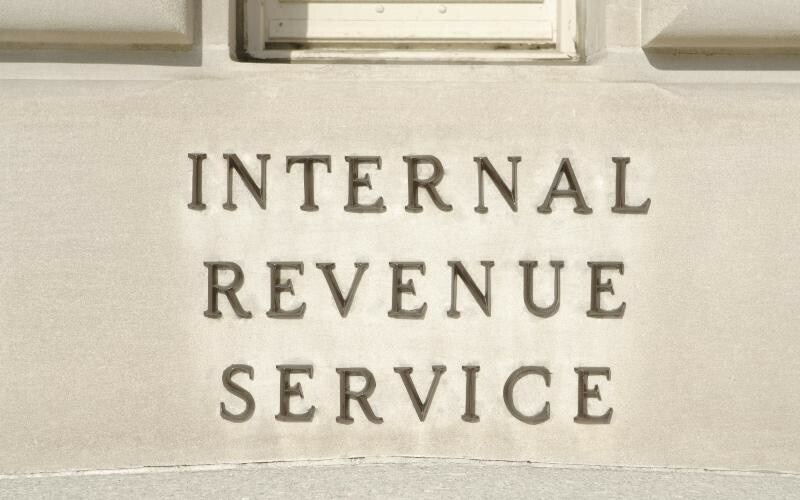 Citing regulations under the Bank Secrecy Act, which requires reporting of bank transactions in excess of $10,000, IRS agents seized $17.1 million from Americans they believed were involved in criminal activity. According to a recent report from TIGA, agents were wrong 91 percent of the time based on investigations of 278 of the seizures conducted by the watchdog. Agents, it turns out, were simply seizing the funds of individuals they suspected of “structuring” deposits in amounts less than $10,000 without bothering to conduct proper investigations. “In most instances, interviews with the property owners were conducted after the seizure to determine the reason for the pattern of banking transactions and if the property owner had knowledge of the banking law and had intent to structure,” the report said. Individuals and businesses affected by the overreach often faced major financial difficulty as a result of the government ineptitude. On top of that, they were forced to work with often unhelpful IRS officials in efforts to retrieve the wrongfully seized money. “When property owners were interviewed after the seizure, agents did not always identify themselves properly, did not explain the purpose of the interviews, did not advise property owners of any rights they might have, and told property owners they had committed a crime at the conclusion of the interviews,” TIGA reported. Lyndon McLellan runs a convenience store in Fairmont, N.C., and has done so without incident for more than a decade. All that changed in 2014, when the Internal Revenue Service used civil forfeiture to seize McLellan’s entire $107,000 bank account. He did not stand accused of selling drugs or even of cheating on his taxes; in fact, he was not charged with any crime at all. Rather, the IRS claimed that he had been “structuring” his deposits — that is, breaking them into amounts of less than $10,000 to evade federal reporting requirements for large transactions. McLellan, like most people, did not even know what “structuring” was, let alone that it was illegal. His niece, who handles the deposits, had been advised by a bank teller that smaller deposits meant less paperwork for the bank, so she kept deposits small. The government finally returned McLellan’s funds after a legal battle and public outcry, but the small-business owner was still forced to wait nearly two years before the government compensated the thousands he spent battling the wrongful seizure in court. Am I angry? Of course! An estimated 346 employees in the Department of Veterans Affairs do no actual work for taxpayers. Instead, they spend all of their time doing work on behalf of their union while drawing a federal salary, a practice known as “official time.”That’s according to a report by the nonpartisan Government Accountability Office. But exactly what those VA workers are doing and why so many are doing it is not clear. The VA doesn’t track that, and the GAO report offers no clue. Rep. Jody Arrington, R-Texas, a member of the House Veterans’ Affairs Committee, thinks the number on 100 percent official time may be much higher. He also notes that the 346 workers don’t include those who spend most, not all, of their time doing union work. “The lack of accountability at the VA when it comes to monitoring official time suggests it might be worse,” said Arrington, who has introduced legislation that would require the department to track the use of official time, among other reforms. Official time is allowed under the 1978 Civil Service Reform Act. The idea behind it is to ensure that a federal employee who is also a union official won’t be penalized for being away from work if he or she is negotiating a contract or addressing a worker grievance, for example. It is essentially a trade-off for the limitations put on federal unions, such as prohibitions on striking. “Employees spent approximately 1,057,00 hours on official time for union representation activities … In addition, the data show that 346 employees spent 100 percent of their time on official time,” the GAO found in a January report. The GAO didn’t know what the employees are doing with all of that time. “We just didn’t get into that in that particular study,” said Cindy Barnes, the GAO’s director of education, workforce and income security issues and author of the report. Part of the explanation is that the VA is one of the largest federal agencies with 373,000 workers, making it second only to the Pentagon in the sheer size of its workforce. About 250,000 VA workers are covered by collective bargaining agreements, according to the GAO, citing 2012 data. Arrington puts the covered figure at 285,000. By comparison, the Department of Homeland Security has 240,000 workers and the Department of Commerce has just under 44,000 workers. But those departments get by with proportionately far fewer people working exclusively on official time. DHS has 39, while Commerce has just four. Another factor is that the VA’s workforce is represented by no less than five unions: The American Federation of Government Employees, the National Association of Government Employees, National Nurses United, the National Federation of Federal Employees and the Service Employees International Union. National Nurses United representative Irma Westmoreland was the only union official willing to talk about the practice with the Washington Examiner. She is one of five nurses union members who work exclusively on union time at the VA. The union has another nine who spent 80 percent of their time at the VA on official time, she said. Westmoreland said her work was necessary because nurses can’t simply stop taking care of a patient to do something like address a worker grievance. People such as her do the union work and make it possible for the other nurses to focus on providing care. But not everyone at the VA is involved in care. So what are the other 341 exclusive official time workers doing? Westmoreland had no insight. “I don’t know how the other people do it,” she said. He added that “in no way did the [February GAO] report suggest that the use of official time presents problems for the department.” The report sought only to quantify the amount of time used. Arrington argues that the practice has to change if the VA is ever to be truly reformed. He has sponsored the Veterans, Employees and Taxpayer Protection Act, which would require the VA to track the use of official time. It also would prohibit employees involved with direct patient care from spending more than a quarter of their work hours on union activities and bar any VA employee from spending more than half of their time on official time. The legislation would effectively put VA employees under right-to-work protection. The VA would be prohibited from agreeing to union contracts that force workers to join or otherwise support a union as a condition of employment. Westmoreland said she has no trouble with better tracking the use of official time but warns against putting any limitations on its use. Our tax dollars at work? Hardly. The most regular visitor to the White House during the last administration was a big union guy. One hopes this has changed, and that the inappropriate union influence in the federal government has ended.Or, as least, tricked down to STOP! To .40, Or NOT To .40? Is this just silly? Or is it a valid scientific ammunition test?I owned a .40 S&W once. For a couple of weeks. Don’t get me wrong, she was a Sig Sauer P226, black stainless, and shot consistently through the same hole at 15 yards! For the newbie, the .40 was essentially a truncated 10 mm. Apparently, the feds thought the 10 too potent for the average troop. And while both calibers have their adherents, they no longer hold the popularity they once did. Hell, the feds have gone back to 9 mm! This is all an exercise in futility for me, anyway. I cannot afford anything. Just when you think we’ve learned most of what there is to learn about Hillary Clinton’s emails a new mole pops up out of the hole. This week Judicial Watch released State Department documents including a declaration from FBI Special Agent E.W. Priestap, the supervisor of the agency’s investigation into Hillary Clinton’s email activities, stating that the former secretary of state was the subject of a grand jury investigation related to her BlackBerry email accounts. The declaration was produced in response to Judicial Watch’s lawsuit seeking to force Secretary of State Rex Tillerson to take steps to “recover emails of former Secretary of State Hillary Clinton” and other U.S. Department of State employees (Judicial Watch, Inc. v. Rex Tillerson (No. 1:15-cv-00785)). We originally filed the lawsuit against then-Secretary of State John Kerry. The Trump State Department filing includes details of the agency’s continuing and shameful refusal to refer the Clinton email issue to the Justice Department, as the law requires. While at the State Department, former Secretary of State Hillary Clinton conducted official government business using an unsecured email server and email accounts. Her top aides and advisors also used non-“state.gov” email accounts to conduct official business. Clinton left office February 1, 2013. The FBI convened a grand jury to investigate Hillary Clinton in 2016. Why is this information being released only now? It is disturbing that the State Department, Justice Department, and FBI are still trying to protect Hillary Clinton. President Trump needs to clean house at all these agencies. I was recently asked (by a liberal friend) my thoughts on the Sanctuary Cities controversy. To be honest, I’d not given it much thought. Initially, my gut response was (as I suspect it is with most conservatives in the Republic) they (the cities and States creating Sanctuary Zones) are in violation of federal law. But then the libertarian part of my brain became engaged. Have these cities and States (or even those therein who are seeking Sanctuary) received due process for their actions? Or is it just the power of the federal government that is forcing these political entities to bow to their will? And, of course those individuals, too. I remembered, the Republic antebellum, when the States held much more power. But Lincoln killed that concept. And the federal government has continued to grow ever since! Have you ever seen a warrant, signed by a judge, used for the searches at the airport? Or DUI checkpoints? Or when ‘they’ spy on your computer? If the illegal aliens avoiding the feds are in these places, they need due process to be extracted and deported. If they are more than illegal aliens (like criminals) they too need due process. That pesky Constitution so says. As a conservative, I say go get ’em. As a libertarian, I say wait for proper paperwork. Just withholding gov’t funds to cities and States may be a great tactic (as ‘they’ ubiquitously do with highway funds!) but blackmail is not proper paperwork. I am a conservative libertarian. I am all about legal aliens to be here legally, get their ‘green’ cards, and move toward proper citizenship, if they desire. Illegal aliens? Should be deported. Except is the most special circumstances. But the paperwork needs to be in order, first. I’ve posted about the bane of my existence – BUREAUCRATIZILLA – 9 times previously! And, they’ve not picked up the hint! Last week, my roommate received a letter regarding her Survivor’s Benefits from The Social Security Administration. In short, because she reached a certain age, and changed her supplemental insurance, they decided to deduct previously gov’t paid insurance premiums for two months (essentially cutting her modest benefit in HALF!) then begin repaying her the Survivor’s Benefit (at a lower rate!) the third month. She only began receiving her Survivor’s Benefit last year, and could have been receiving it for the previous three years, but did not know it was available. And this, just when she has been working less due to illness (she is a contract employee), and is preparing to have surgery next month! He provided us with the number to call. And as it was late Friday afternoon, the call would have to be the NEXT BUSINESS DAY. AFTER PRESIDENT’S DAY. People ask me why I distrust government. The above is a prime example. First, they provide you with a benefit. Then, after you become accustomed to it, they screw with it, and take part of it away.